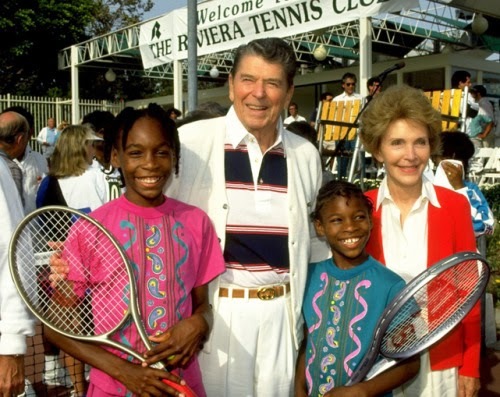 Serena and Venus Williams posing for a picture with former President Ronald Reagan and his wife Nancy in 1990. 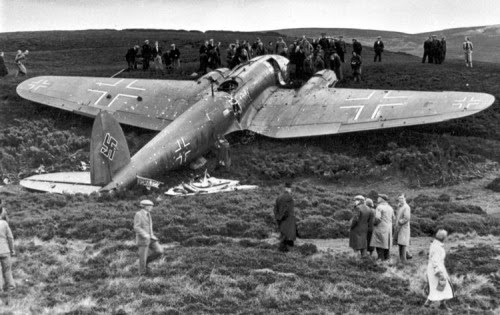 The Luftwaffe Heinkel He111 was the first Nazi plane shot down over Britain during Second World War. 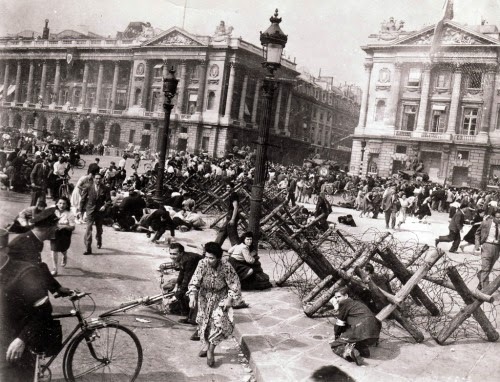 Sniper fire sends French citizens sprawling or fleeing in the Place de la Concorde on August 26, 1944. 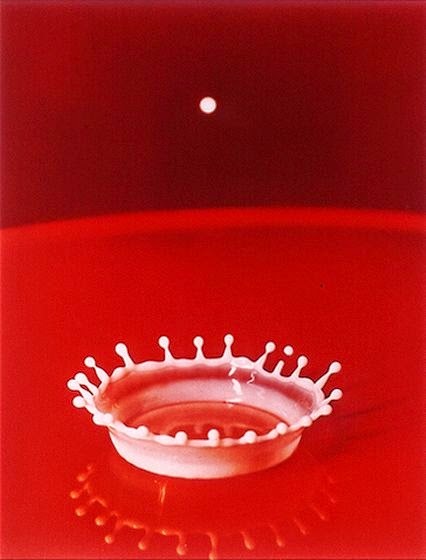 Milk drop coronet, the first photo ever taken of a droplet landing in liquid. Photo by Harold Edgerton – 1957. 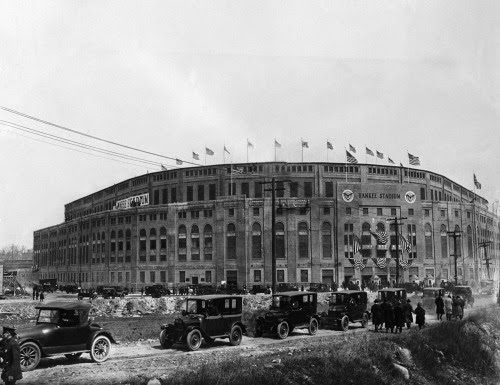 Yankee Stadium on opening game day against the Boston Red Sox, April 18, 1923. 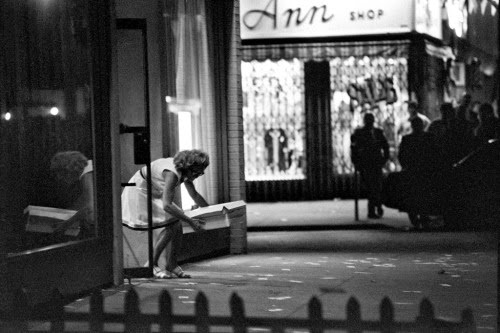 Chase Manhattan bank hostage, Shirley Ball collects a stack of pizza’s ordered by hostage taker, John Wojtowicz. Wojtowicz threw thousands of dollars out of the door to pay for the pizza. 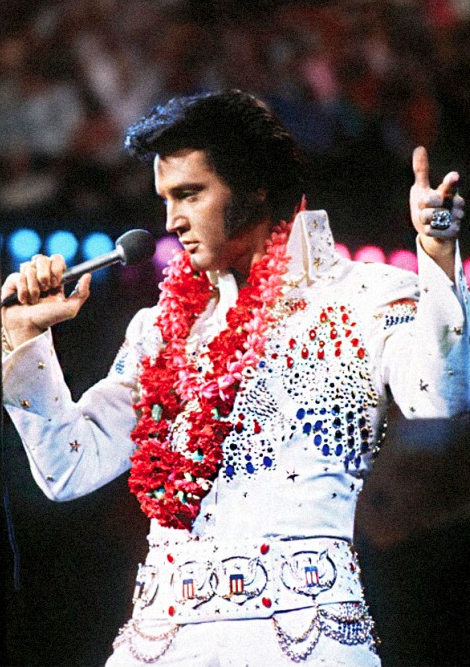 Gravesend, Brooklyn. 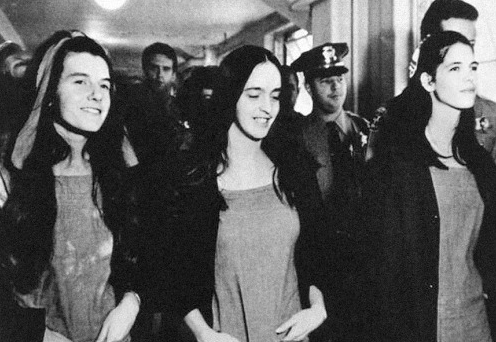 August 22, 1972. 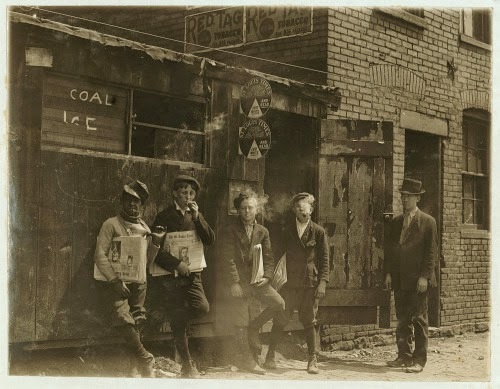 Newspaper boys taking a smoke break, Saint Louis, Missouri - Photo by Lewis Hine Circa – 1910. 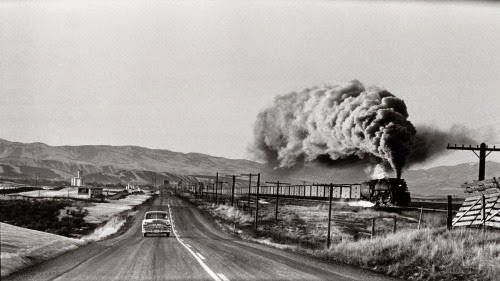 The future races the past - Parallel roadway and railway in rural Wyoming – Photo by Elliott Erwitt, 1954. 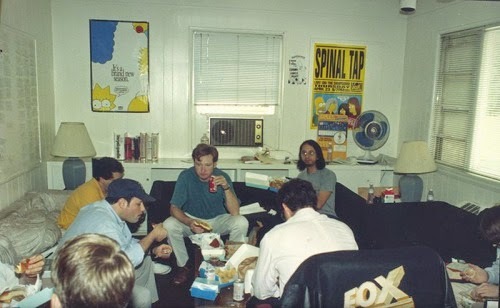 The writers of the Simpsons, the longest running animated television show in history, at work in the early days, 1992. 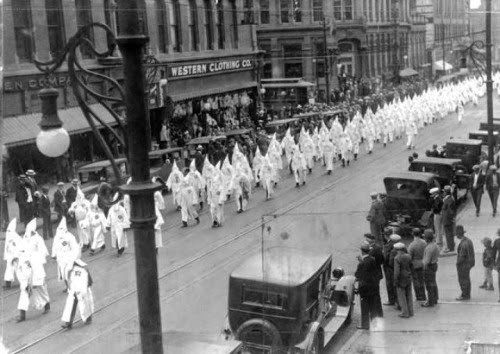 Klu Klux Klan member and mayor of Denver, Colorado Ben Stapleton, marches with the KKK through downtown Denver, 1920s. 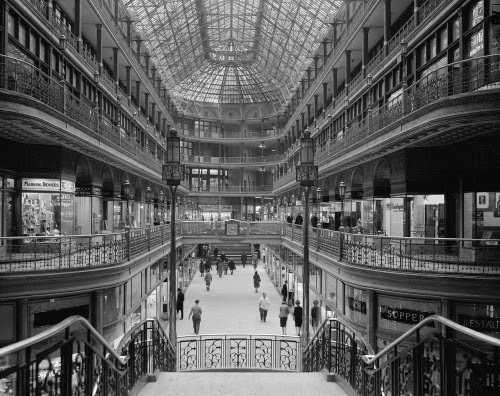 Interior of The Arcade in downtown Cleveland, looking south, 1966. 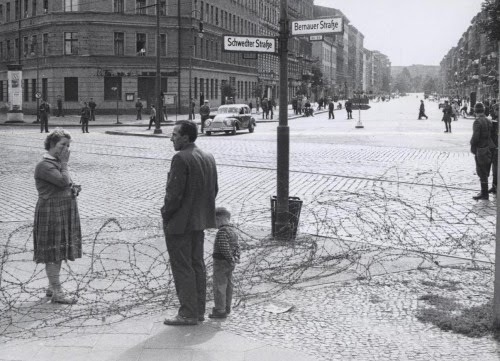 An East German woman stands crying after she passed a young boy to a man in West Berlin, over a barbed wire fence separating East and West Berlin, 1961. 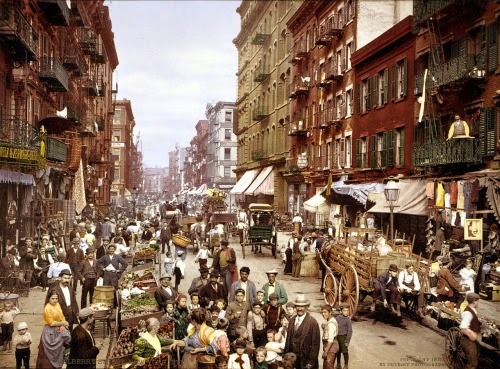 Colorized Photo of busy street in Manhattan’s Little Italy, Lower East Side, Circa 1900. 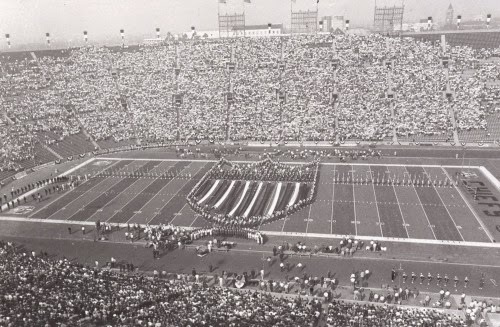 Super Bowl I – Green Bay Packers versus Kansas City Chiefs - Los Angeles Memorial Coliseum, January 15th 1967. 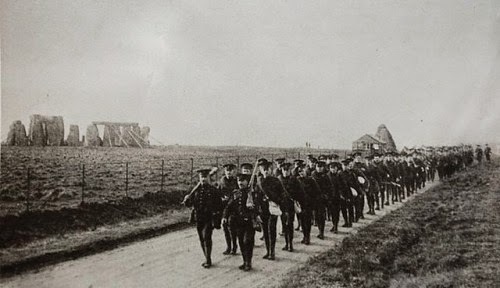 A garrison of Canadian soldiers march past Stonehenge in Britain during World War I – 1914. 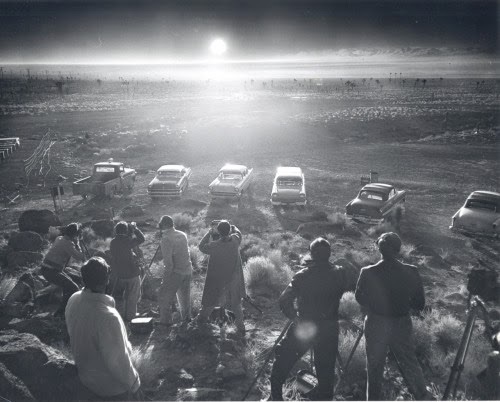 People witness the Priscilla Nuclear Test, Nevada desert 1952. 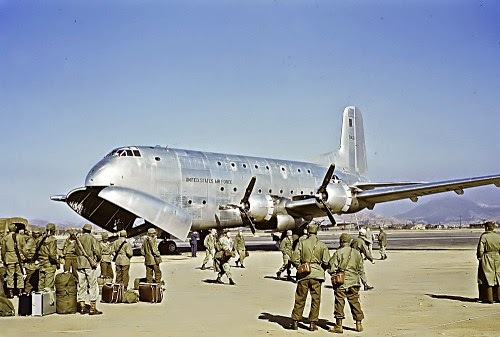 American troops ready to return home from the Korean War on a Douglas C-124 Globemaster II Seoul, Korea, 1953. 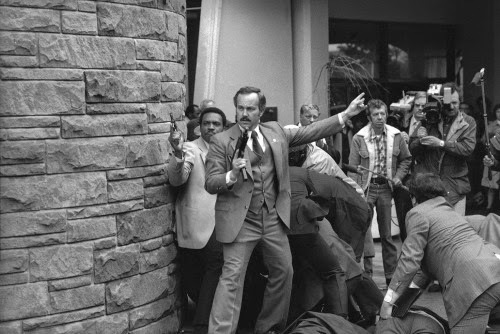 A Secret Service agent brandishes a submachine gun while other agents and police subdue gunman John Hinckley, Jr behind him. Hinckley shot President Reagan in Washington on March 30, 1981. 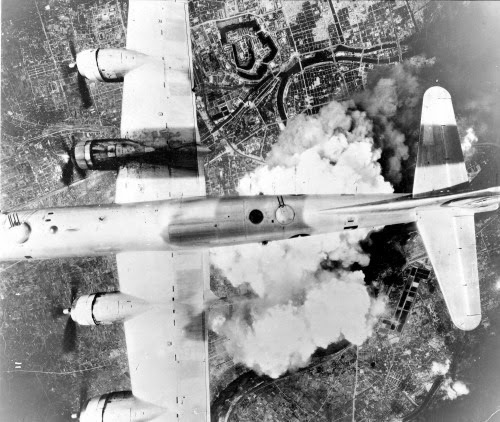 Boeing B-29A-45-BN Superfortress Incendiary Journey mission to Osaka, Japan – June 1, 1945. 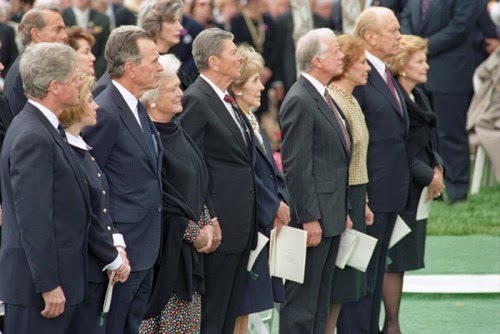 Five United States Presidents attend the funeral of President Richard Nixon, April 27, 1994. 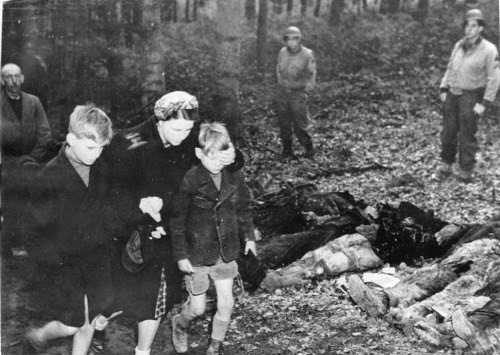 A German mother shields the eyes of her son as they walk past a row of exhumed bodies, 57 Russians killed by SS troops and dumped in a mass grave outside Suttrop, Germany. 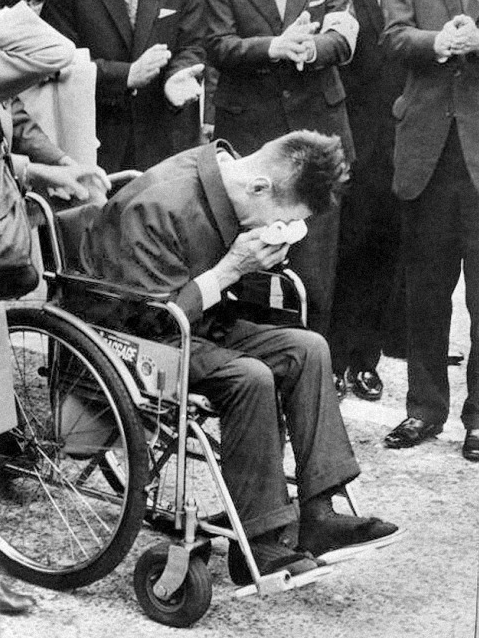 Before final reburial, all German civilians in the vicinity were ordered to view the victims by the US Army, May 1945. 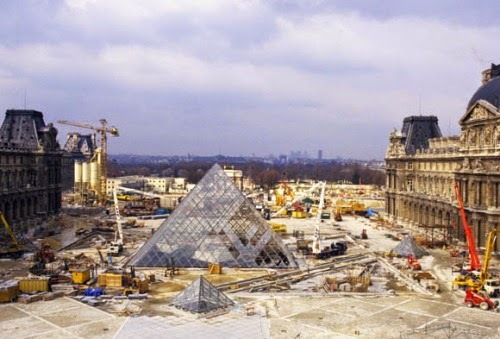 Construction of the glass pyramid entrance in the courtyard of the Louvre, 1980s. 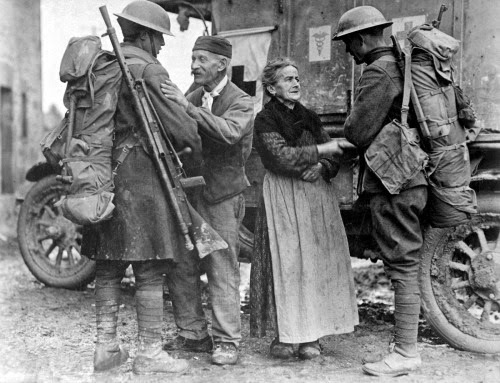 French citizens thank American soldiers for their service during World War I – Circa 1917. 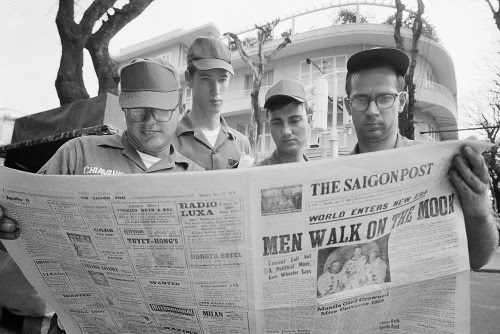 American servicemen pause on a downtown Saigon street to read a local newspaper account of the Apollo 11 lunar landing, Vietnam, July 21, 1969. 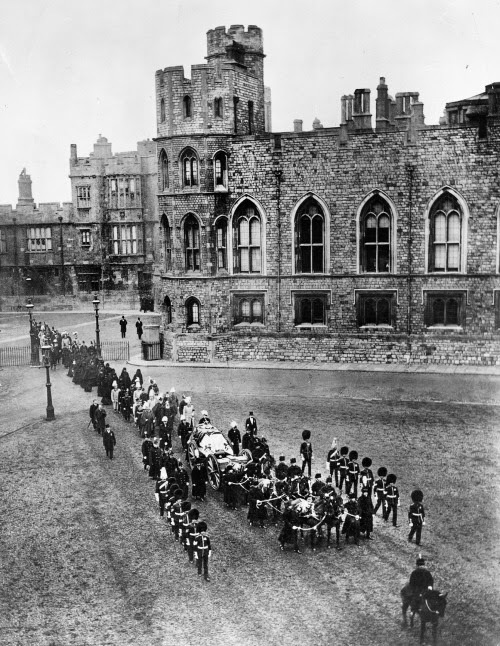 The bodies of seven railwaymen still on public display three days after their execution. 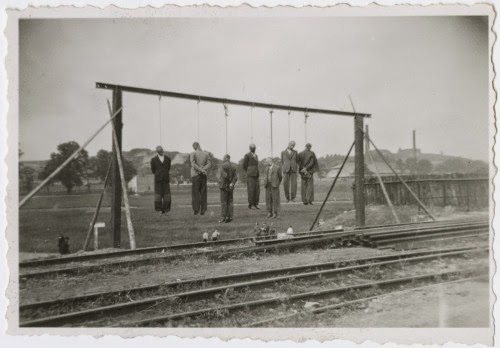 They were hanged after a partisan unit derailed a German train. Płaszów, Kraków, Occupied Poland – June 29, 1942. 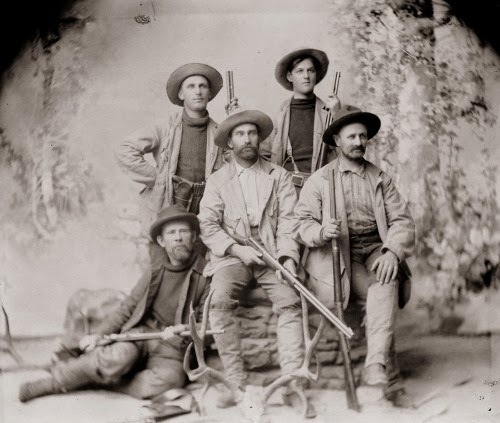 A portrait of a group of buffalo hunters in Boulder, Colorado – Circa Late 1800s. 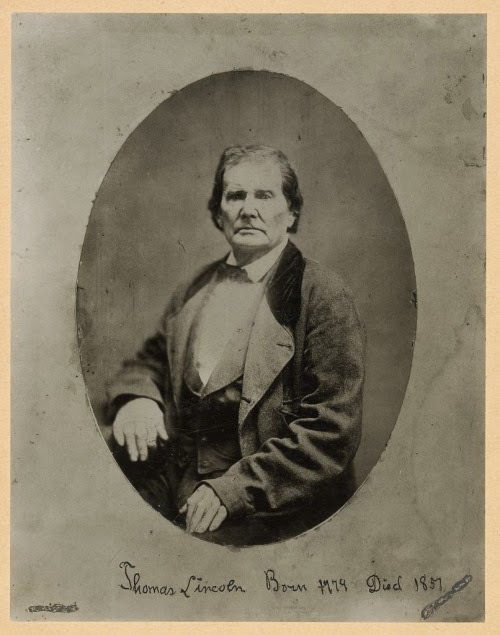 Thomas Lincoln, father of President Abraham Lincoln – 1850. 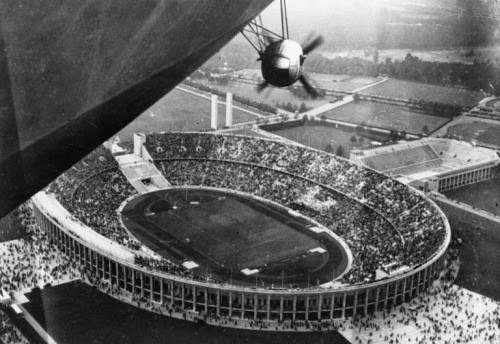 The Hindenburg Zeppelin flying over the Olympics in Berlin, Germany 1936. 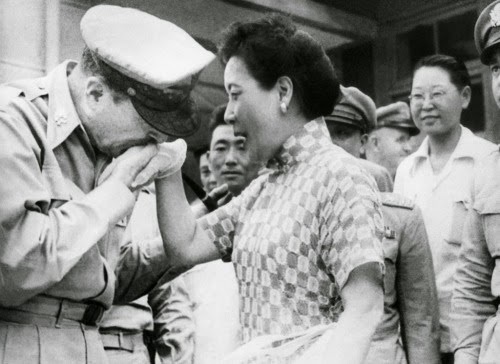 General Douglas MacArthur kisses the white-gloved hand of Madame Chiang Kai-shek, just before he departed Taipei, Formosa after a conference with Chiang Kai-shek and the Nationalist government. 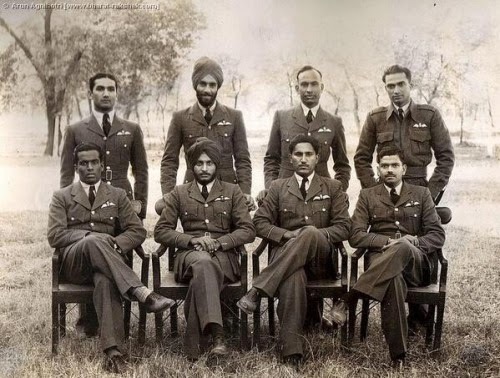 August 7, 1950. A log splashes into the Klamath River after sliding down the Pokegama Timber Chute. 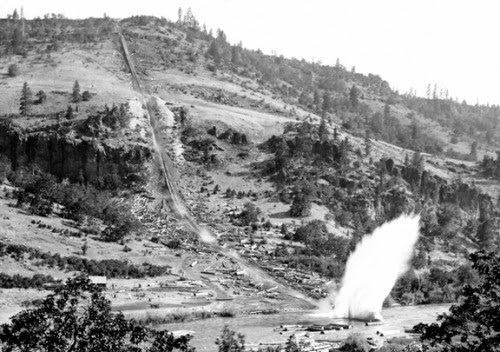 The chute was a half a mile long and logs reached speeds of 90mph. Photo by Maud Baldwin, Circa 1900. 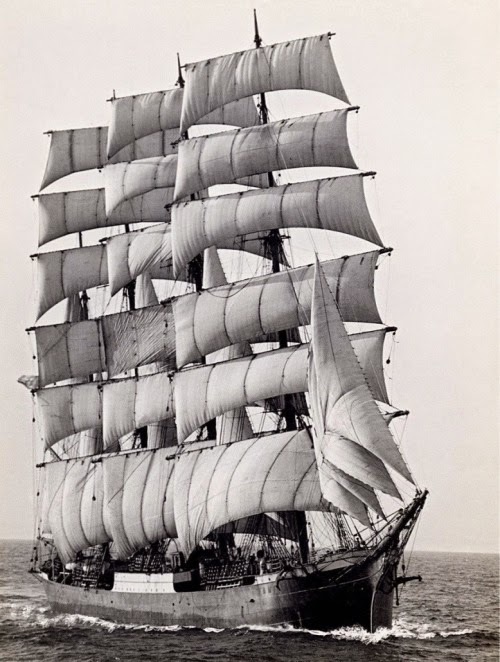 The German ship Pamir which, became the last commercial sailing ship to round Cape Horn – 1949. 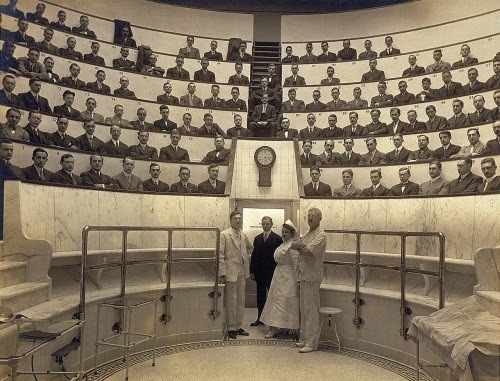 She capsized and sank in September 1957 in a hurricane off the Azores, with the loss of 80 crew members. 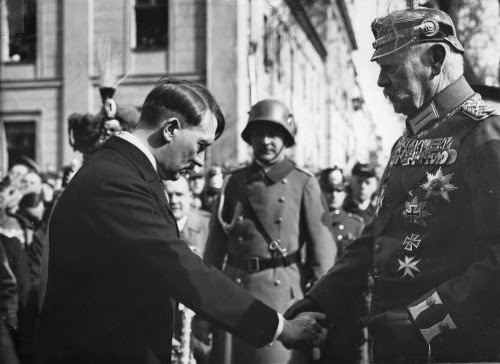 Adoph Hitler greets President Hindenburg on the Day of the Potsdam – March 21, 1933. 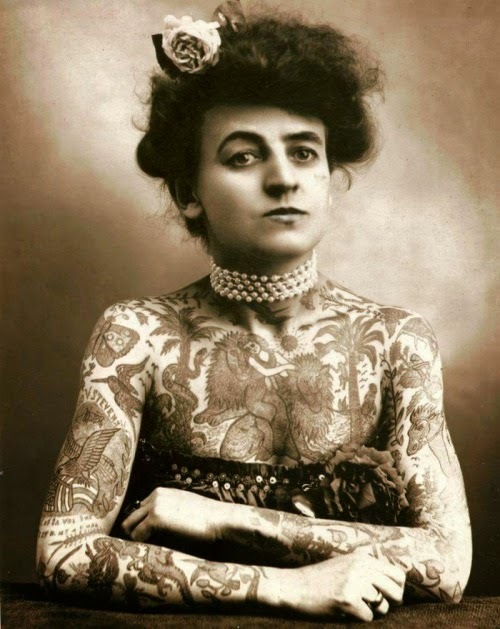 Maud Wagner, Circus performer and the first known female tattoo artist, Circa 1911. 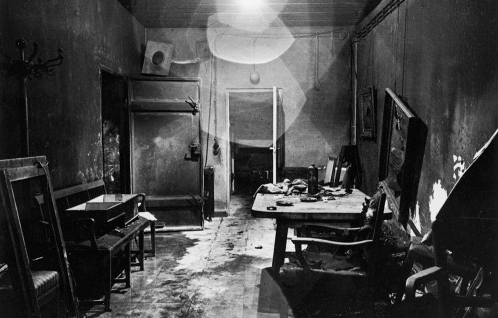 The interior of Hitler's underground bunker in Berlin, where he would reside for three months until his suicide. 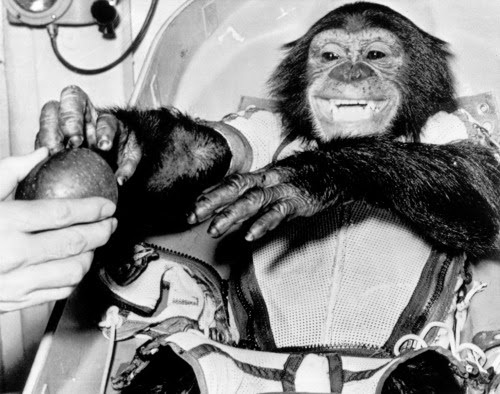 Astronaut chimpanzee, Ham, gets an apple after his first successful flight into space - January 1961. 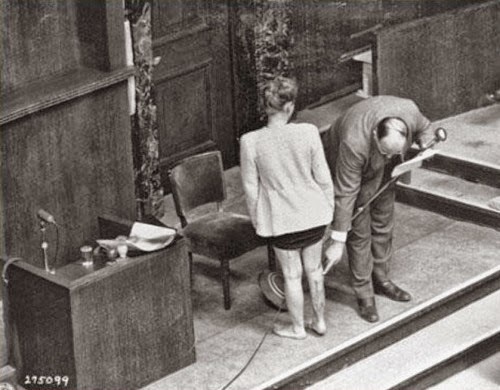 Jadwiga Dzido shows her scarred leg to the Nuremberg court as an expert medical witness explains the procedures inflicted on her at Ravensbrück concentration camp, 1942. 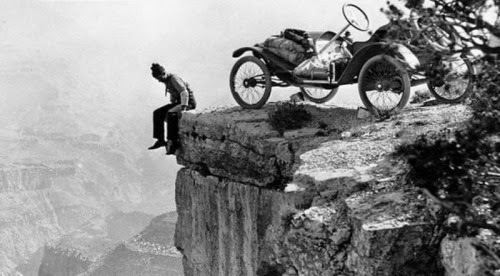 On the edge of the Grand Canyon, 1914. 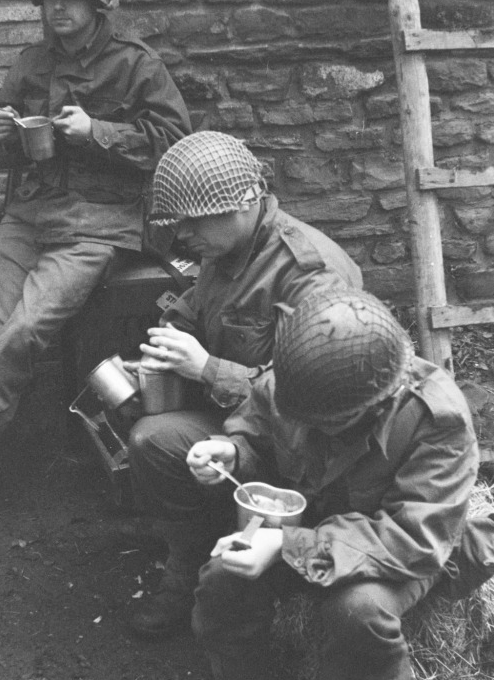 American Soldiers consume rations outside a field hospital during the Battle of the Bulge – 1944. 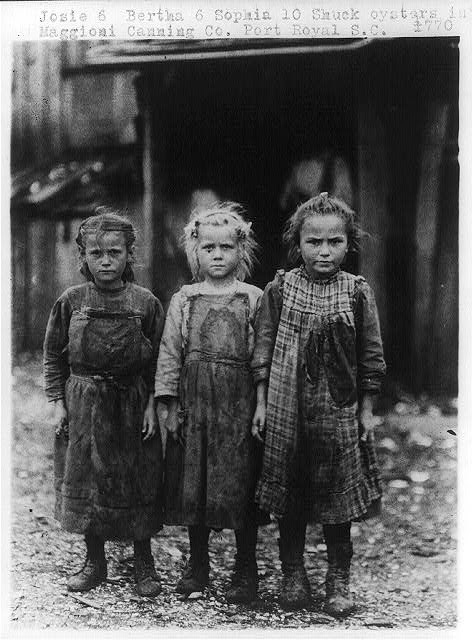 Young oyster shuckers, Port Royal, South Carolina Circa 1909. 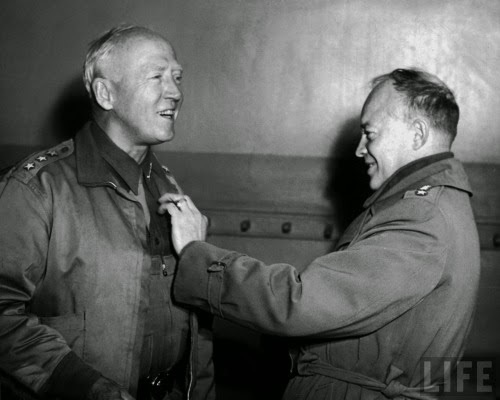 General Dwight D. Eisenhower awarding a third star to General George S. Patton, 1943. 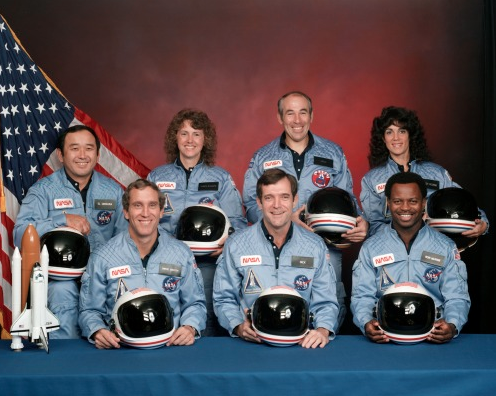 January 28, 1986: Space Shuttle Challenger explodes after liftoff killing all seven astronauts on board. 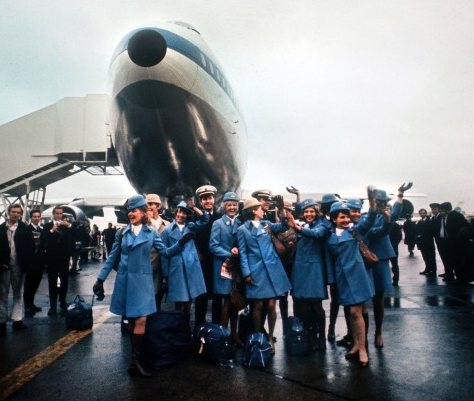 This flight marked the first time a non-government civilian, schoolteacher Christa McAuliffe, had flown aboard the Space Shuttle. 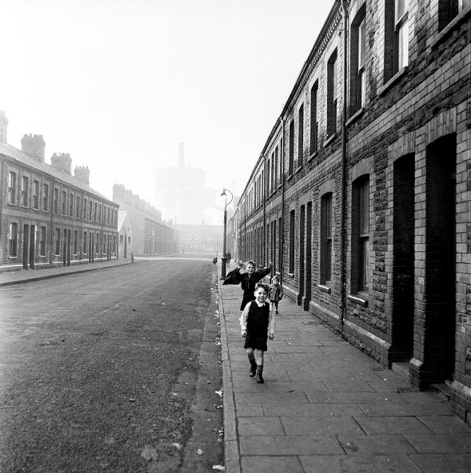 Children play in the streets of the working class neighborhood Cardiff, Wales - January 1954. Photo: Bert Hardy/Picture Post. 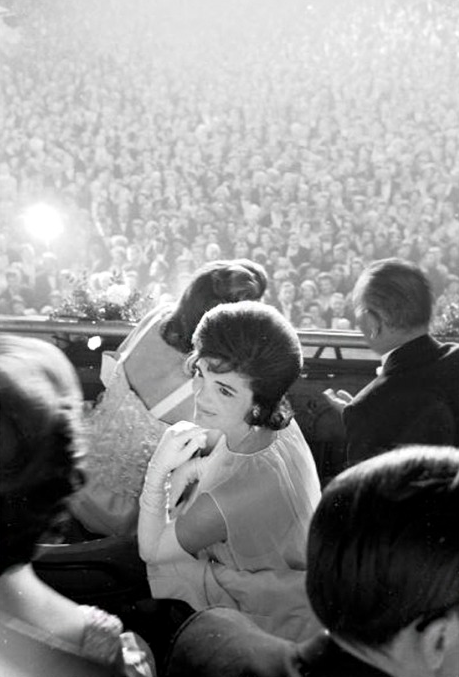 Jaqueline Kennedy at the pre-inaugural ball held at the D.C. Armory in Washington, D.C. - January 19, 1961. 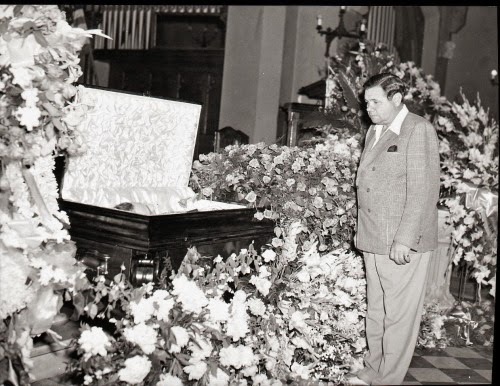 Christ Episcopal Church - Babe Ruth pays his respects to Lou Gehrig at his funeral, 1941. 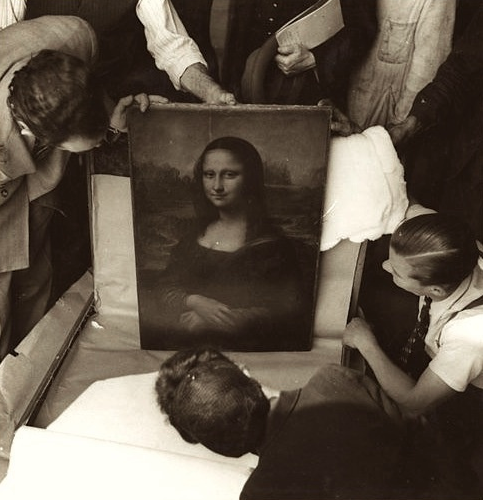 The Mona Lisa is packed away for protection and moved to avoid being taken by the Germans during World War II - The painting was moved five times during the war to avoid discovery by the enemy. 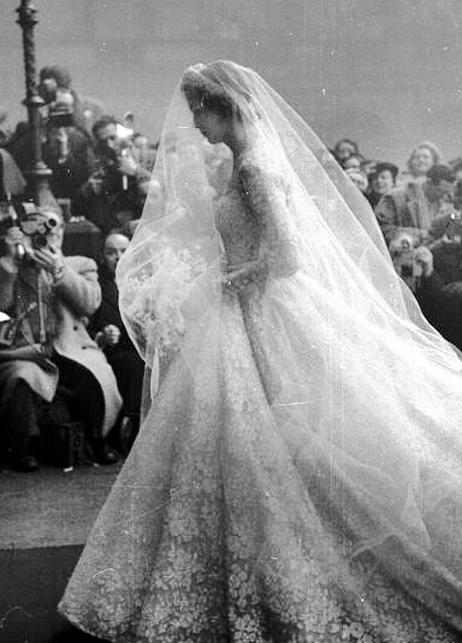 Norman Hartnell model, Jane McNeil, arrives at St Giles Church, Edinburgh, for her marriage to the Earl of Dalkeith, son of the Duke of Buccleuch - January 1953 / Photo: Bert Hardy/Picture Post. 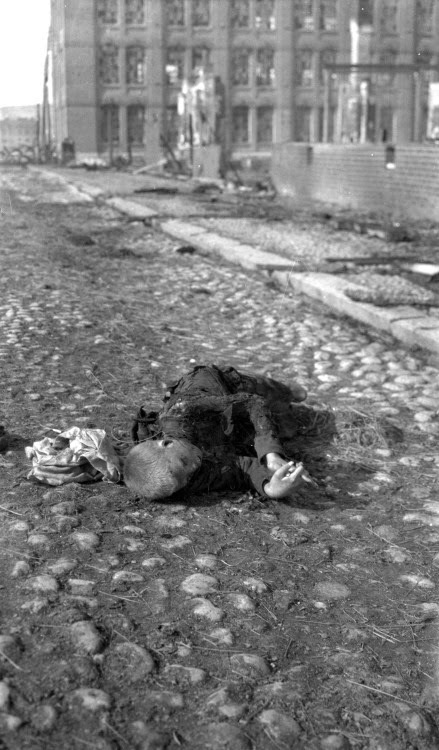 A dead child on the streets of Tampere during the Finnish Civil War, 1918.